With all the character of a hand-made watch, the Tourbillon Souscription is one of the 20 watches that formed the foundations of F.P. 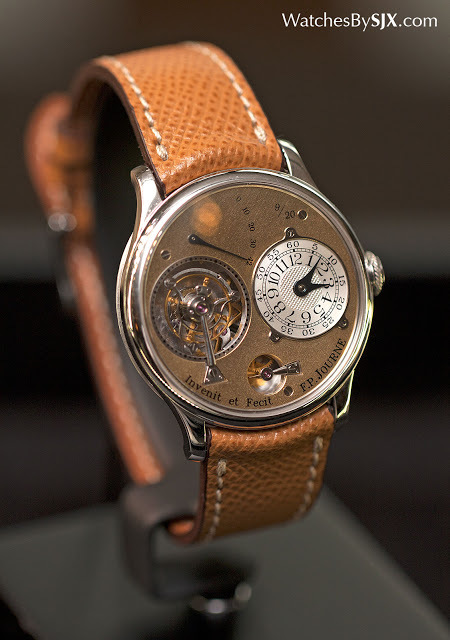 Journe in 1999, having been sold to raise the money needed to start the company. 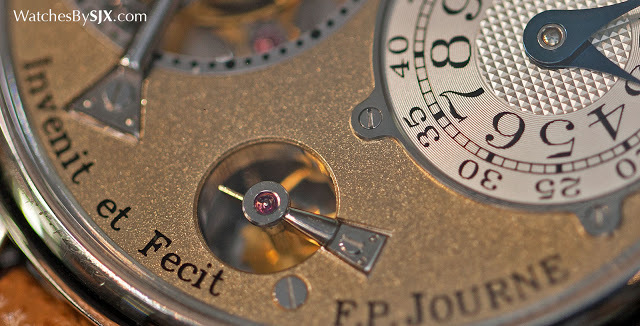 Having already made a handful of clocks and pocket watches, the then fledgling watchmaker François-Paul Journe made three prototypes of his now signature tourbillon wristwatch. But he had not the funds to start a company and put it into serial production. So he created 20 souscription tourbillons, where clients had to “subscribe” for the watches, paying in advance and giving him the capital to start Montres Journe in 1999. This is one of those 20 watches, numbered “9/20”, slated to be sold at Phillips’ Geneva watch auction on November 7. 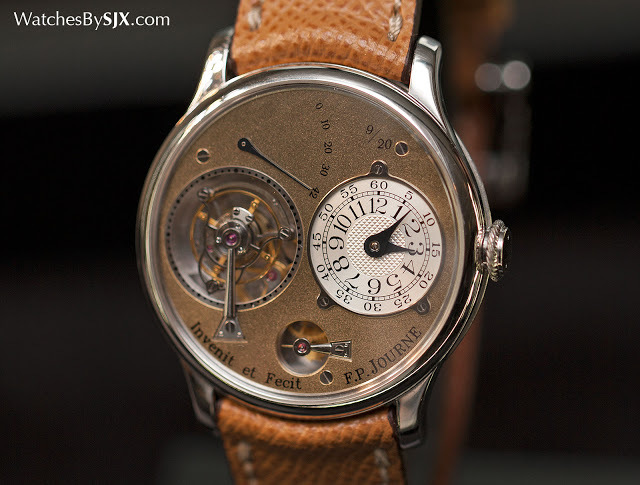 What Journe did with the money he raised from selling these 20 watches is obvious – he made better watches. This F.P. Journe Tourbillon “Souscription” is as close to being hand-made as is possible with a modern wristwatch. All of the inconsistencies and quirks – flaws to some and character to others – are glaring. 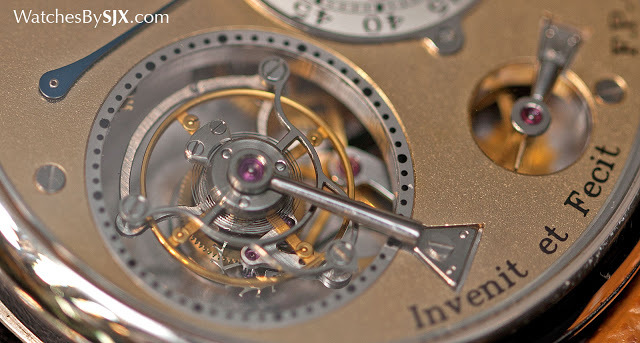 Compare this with a Tourbillon Remontoir made just a year later, and the evolution in fit and finish is clear. Put it next to the T30 Anniversary Tourbillon, the latest tourbillon movement conceived by Journe, and the improvements are even more obvious. 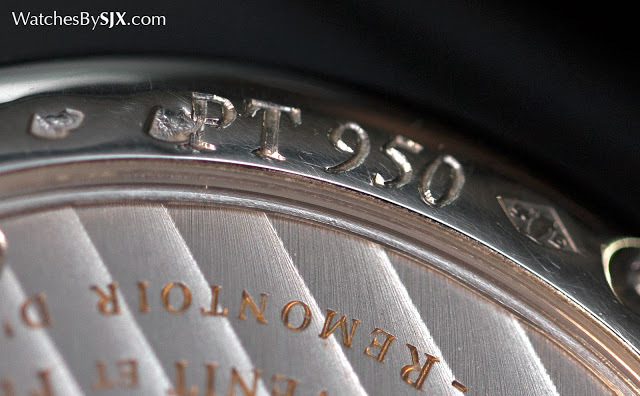 Improvements in manufacturing and finishing mean the newest movements are cleaner and more refined. 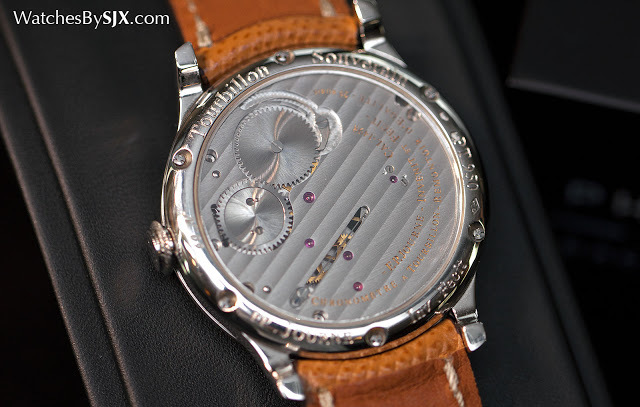 But the Tourbillon “Souscription” has character, and to a collector of F.P. 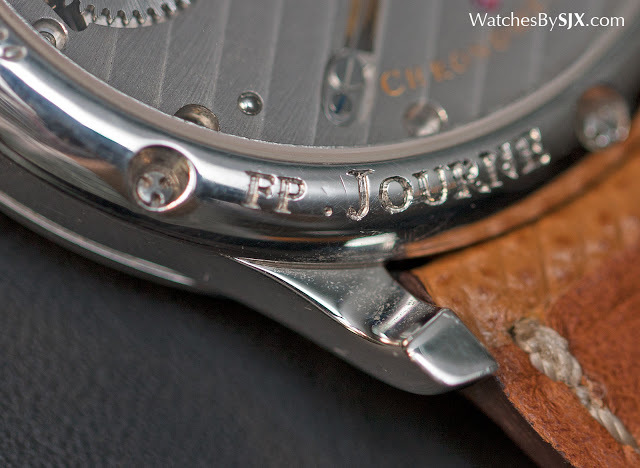 Journe watches, historical value. 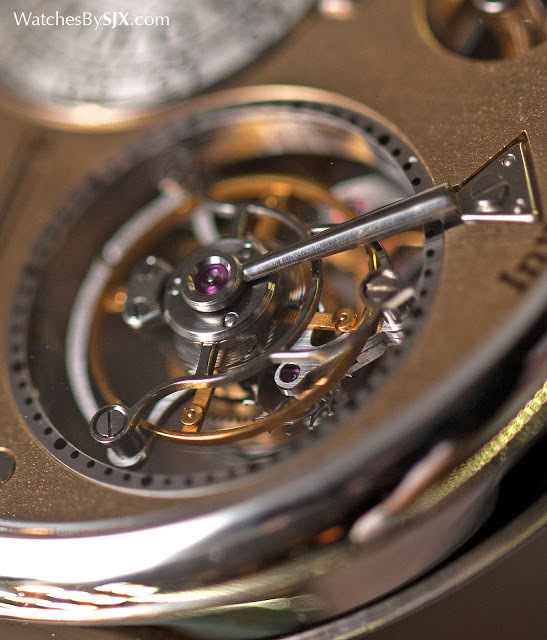 In many ways this is similar to the original Pour le Merite Tourbillon from A. Lange & Söhne, a watch that is distinctly inferior relative to later Lange timepieces in terms of movement decoration. That, however, has not hurt its desirability. Like all of F.P. Journe’s early wristwatches, the Tourbillon “Souscription” has a 38mm platinum case, along with a grained, gilded dial, a combination that is now the brand’s quintessential look. 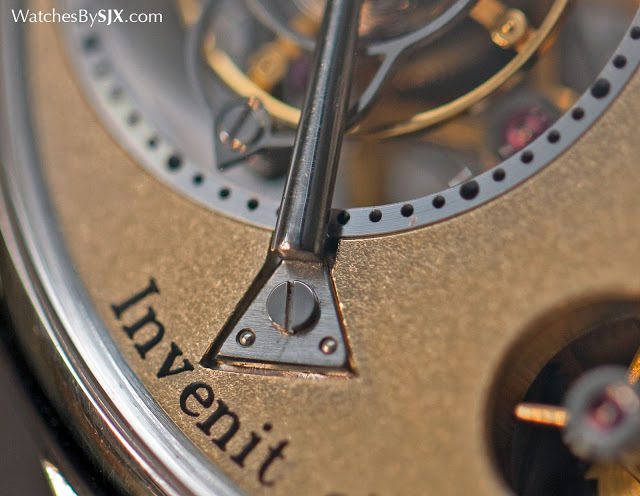 The origins of the golden dial lie with Journe’s first three prototype watches, which had the sub-dials screwed directly onto the base plate of the movement, which was the traditional gold-plated brass. The is lot 112 in the Phillips sale, with an estimate of SFr80,000 to SFr120,000.